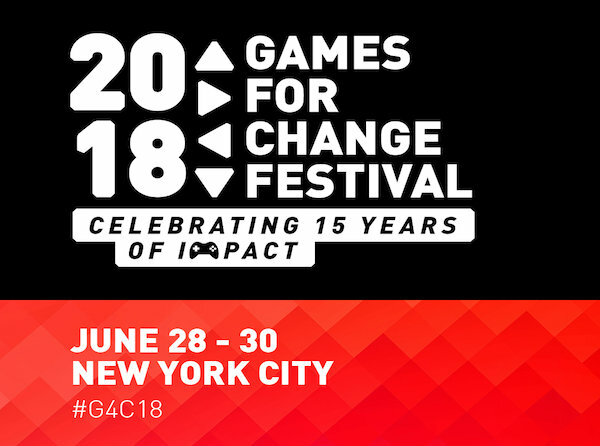 Apply to showcase your game or tech at the 15th Annual Games for Change (G4C) Festival! 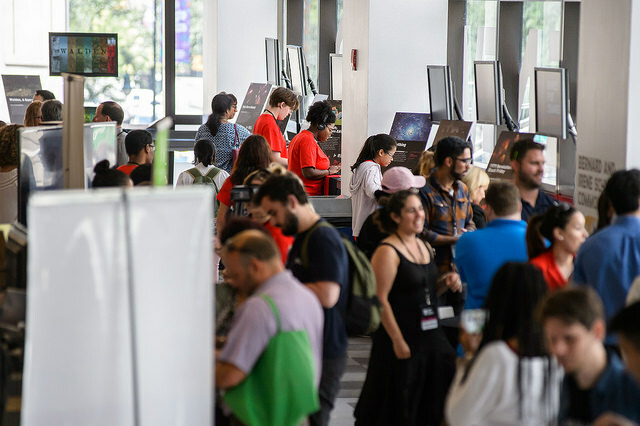 The G4C Marketplace is a B2B expo that invites companies and game studios to demo new games, technologies, and platforms to over 1000 attendees at the G4C Festival — including funders, developers, educators, government and top social innovators. Applications are due by May 18, 2018. Applicants will be notified on a rolling basis. *This level is reserved for exhibitors that require the space for VR/AR/MR, Live Action, Tabletop and other set-ups that require additional space. Participants are responsible for providing their own tech and staffing their booth for the duration of the Festival. Participants are also responsible for shipping costs related to their exhibition. Monitors can be rented for an additional $500. Please note there will not be any on-site product sales. All banners and materials must be made of fire-retardant materials with official documentation. See photos from the Marketplace at the 2017 G4C Festival here. *Games for Change is not able to provide staff for your booth. Those arangements must be made through your organization. Games for Change is not able to provide tech/hardware for your booth. Those arangements must be made through your organization. Yes, please add $500 to our contract. No, please do not rent a monitor for us.